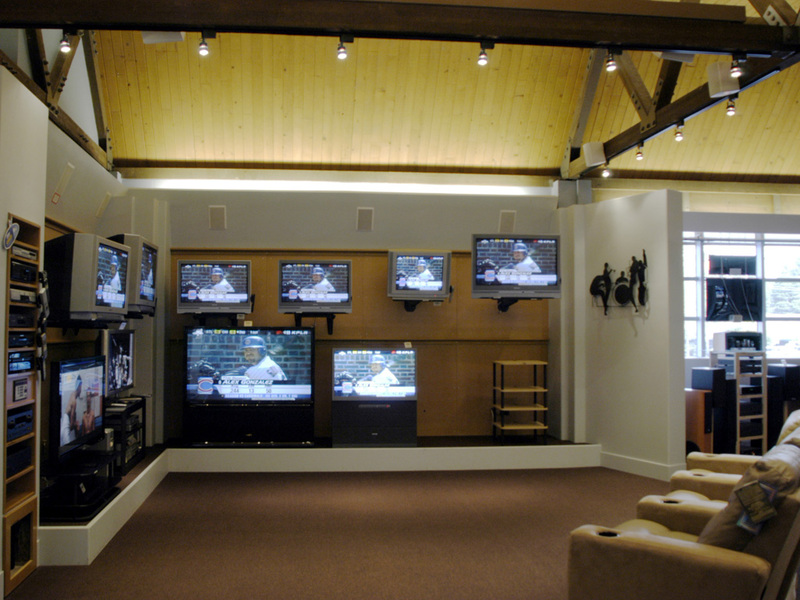 Uptown Audio Video displayed high-end home theater systems in a comfortable, relaxed modern home environment. 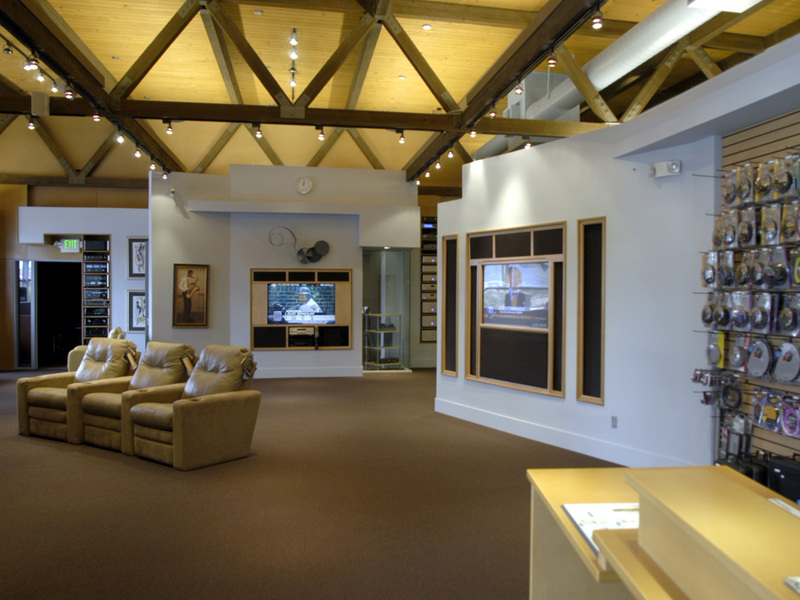 The build-out for included lighting, custom built display cases and interior finishes and the existing wooden roof and ceiling were revealed and restored. 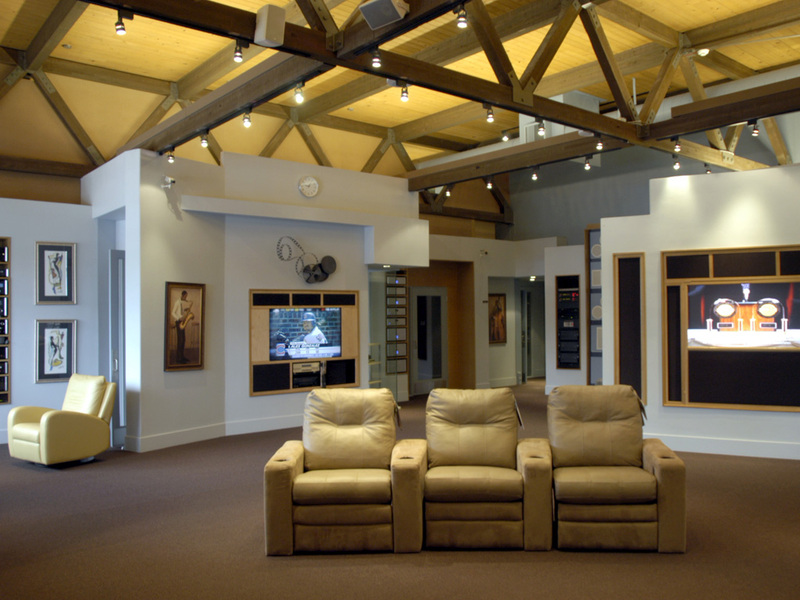 Lighting was updated and a series of display walls were added to partition the space and provide acoustic control to a series of home theaters. 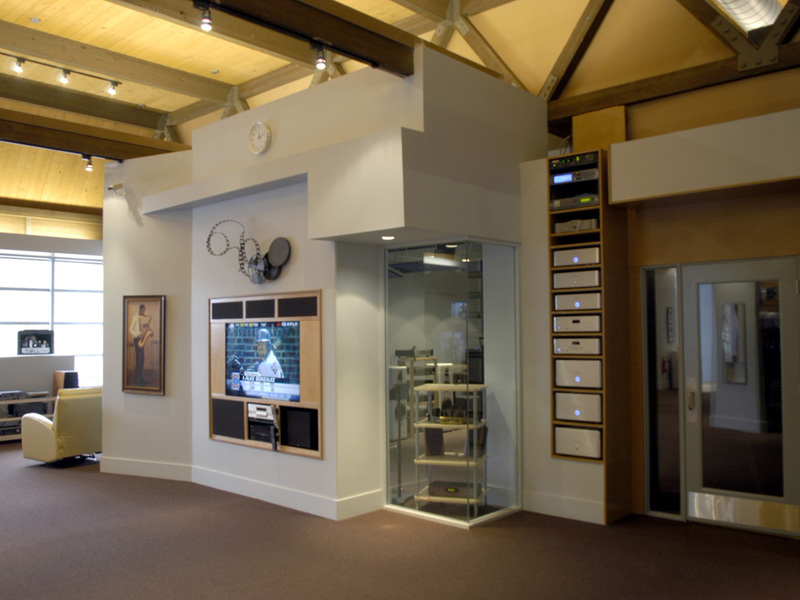 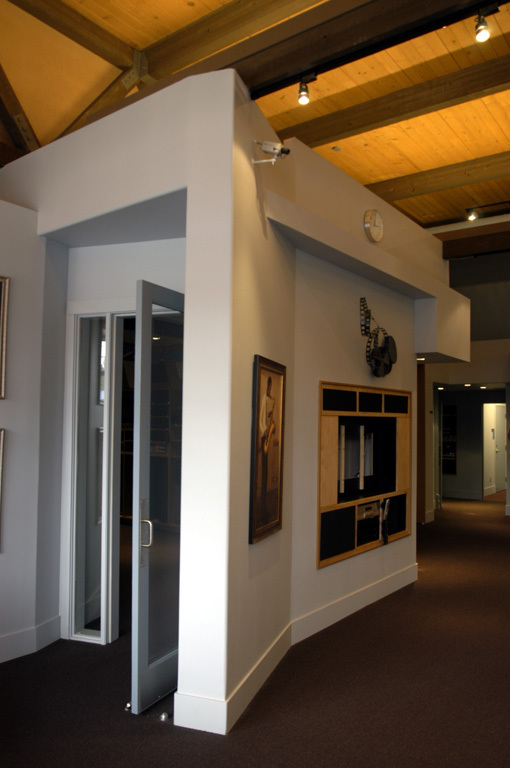 Rooms dedicated to showcasing the high-end audio equipment were designed to be built with full sound isolation at walls, doors and ceiling.